Within the SuperStroke TRAXION Tour range of putter grips, there are 1.0, 2.0, 3.0 and 5.0 profile. Each profile has a range of colours - there really is a putter grip for every golfer. 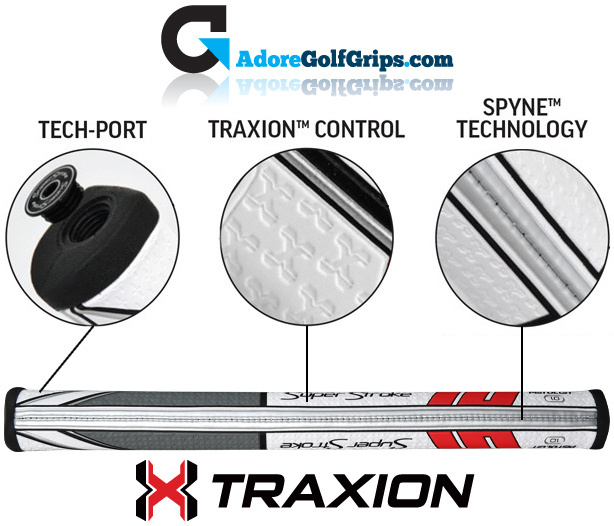 SuperStroke TRAXION Tour 2.0 Tech-Port putter grip has a profile of 1.20” diameter and a 10.50” grip length.